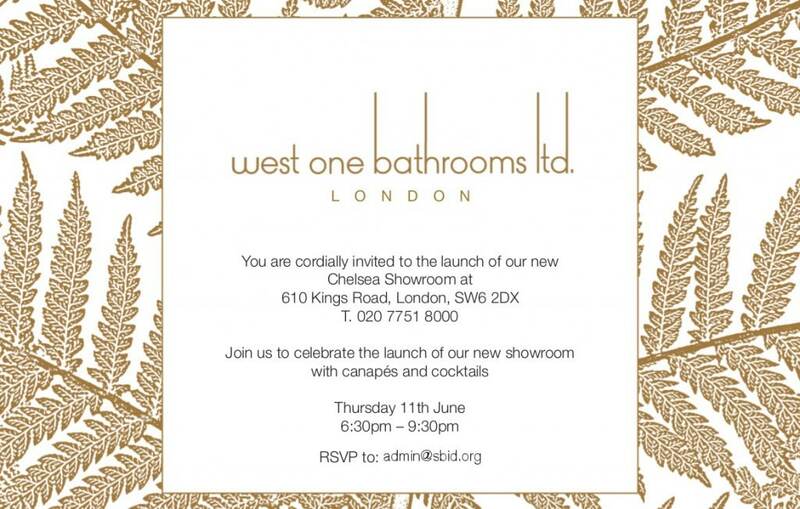 SBID member West One Bathrooms cordially invites SBID members to the launch of their new Chelsea Showroom. This is a great chance to meet with the West One Bathrooms’ team, explore their new showroom and experience their bespoke luxury bathroom designs and products. Join the SBID and West One Bathrooms team to celebrate the launch over canapés and cocktails.